Watch vintage meet whimsy! 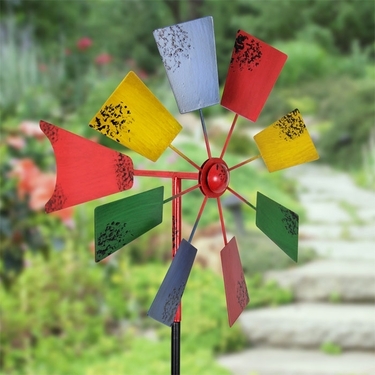 This vintage windmill stake adds color and movement into any landscape. A perfect addition to liven up any outdoor space with charm! Wind powered, and made of durable UV treeated metal. Size:13" x 12" x 51"H.